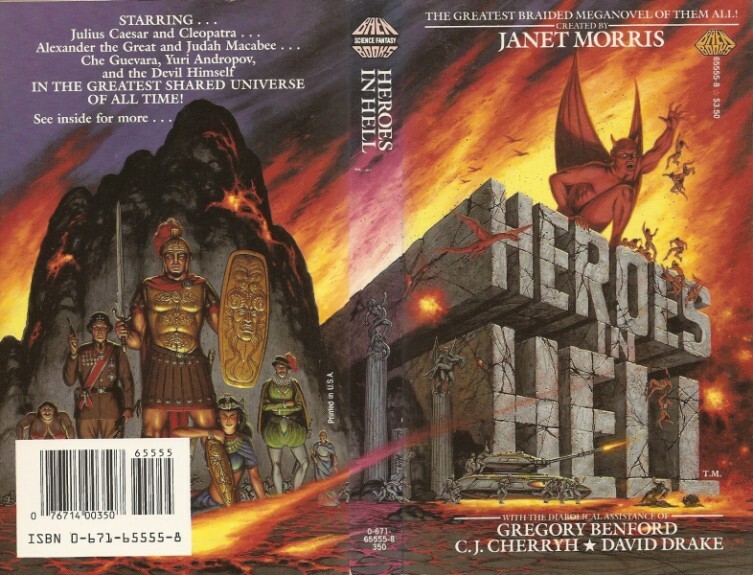 Heroes in Hell is a series of fantasy books published from 1986 to 1989 featuring stories by some of the top sci-fi/fantasy writers of the day. 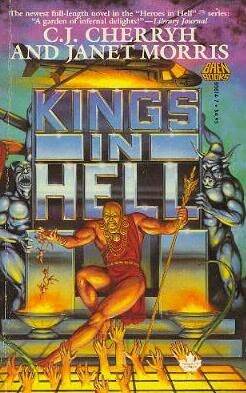 I’ve never read any of them, but vividly remember seeing them in the bookstores around the time, thanks to David Mattingly‘s luridly enthralling cover art. 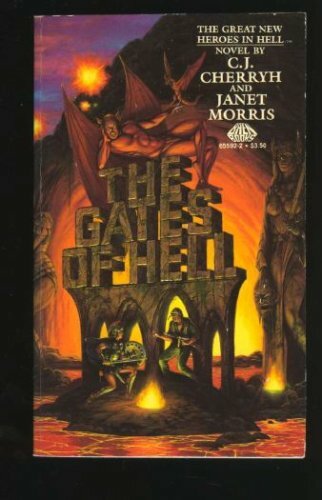 In the stories, according to Wikipedia, “Hell becomes an arena in which all the interesting people in history can come together to continue the relentless pursuit of their various ends.” It sounds pretty cool, but the general consensus is that the substance doesn’t quite measure up to the inspired idea. 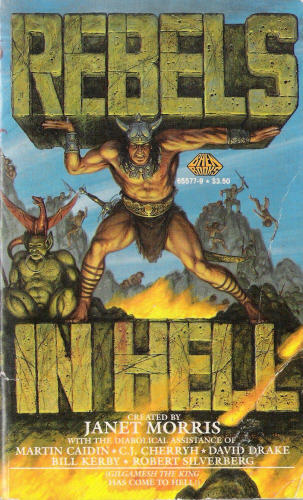 The books are out of print, but I think I’ll have a look for a used copy of the first volume and give it a shot. 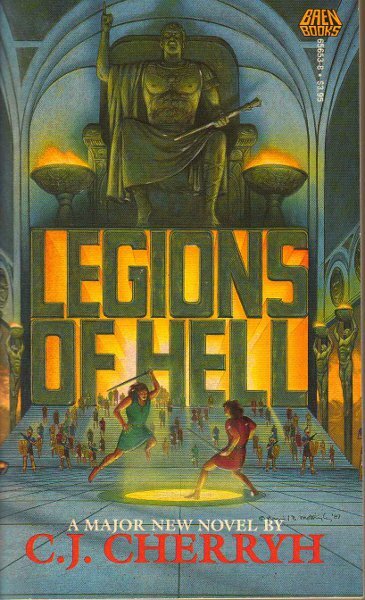 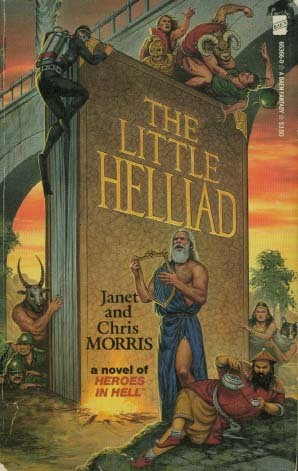 Mattingly did all the covers (images via the Internet Speculative Fiction Database) with the exception of volume eleven, Prophets in Hell (not pictured). 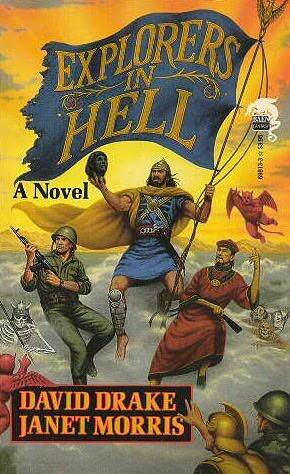 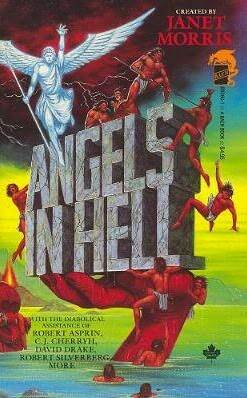 My favorite has got to be War in Hell, what with the American G.I. 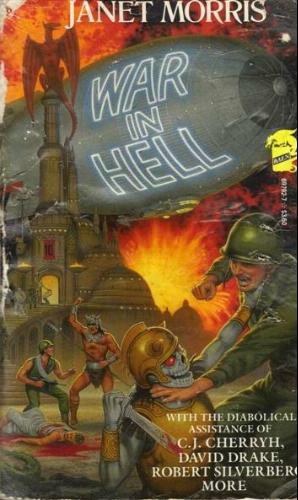 beating up the undead Roman centurion, and what appears to be the Hindenburg bursting into flames! 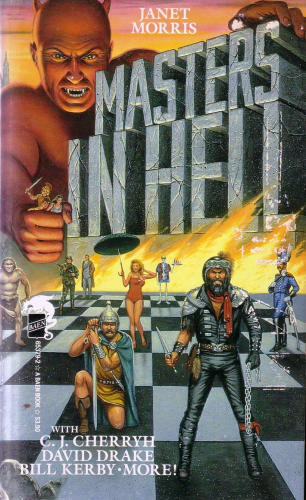 And is that Genghis Khan in the background?